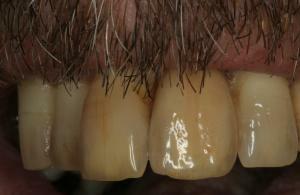 The difficulty with this case was matching the shade to his natural teeth. This image is of the implant and crown in place. 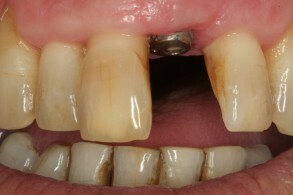 The crown was a normal bonded crown, but as you can see time was spent with this patient to get the shade to a very close match of his natural look.